This research study involved the use of extensive secondary sources, directories, and databases such as Hoovers, Bloomberg Businessweek, Factiva, and OneSource to identify and collect information useful for a technical, market-oriented, and commercial study of the global artificial lift market. Primary sources are mainly industry experts from core and related industries, preferred suppliers, manufacturers, distributors, service providers, technology developers, standard and certification organizations of companies, and organizations related to all the segments of this industry’s value chain. The points given below explain the research methodology. The ecosystem of the global artificial lift market starts with the manufacture of components, such as piston, valves, pumps, cables, motors, and so on. The manufactured parts are then assembled by the OEM to form various artificial lift systems, which are then tested. This stage is followed by the distribution stage, following which, the product is provided to the oil & gas operators. 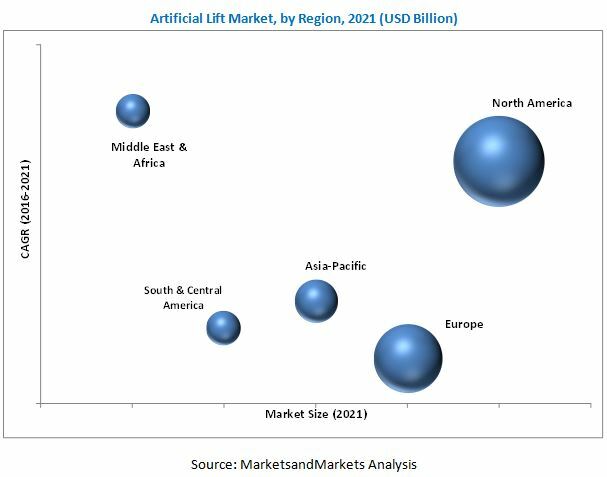 The global artificial lift market is projected to grow at a CAGR of 4.91% from 2016 to 2021, to reach a market size of USD 9.69 Billion by 2021. This growth is attributed to increasing oil & gas production from unconventional resources such as shale gas, heavy oil, and tight oil. The report segments the artificial lift market on the basis of mechanism into pump assisted and gas assisted. The pump assisted segment is projected to dominate the artificial lift market. 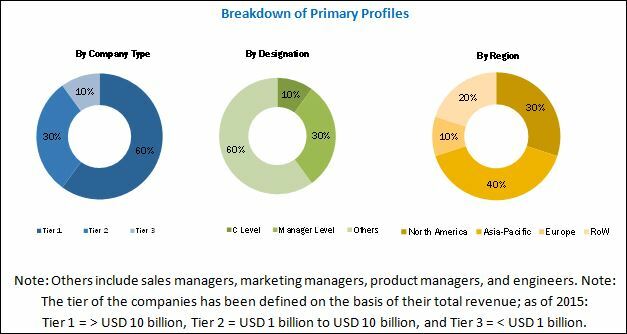 The artificial lift market is segmented based on type into electrical submersible pumps, rod lift, progressive cavity pumps, gas lift, and others. Others include hydraulic pumping systems and plunger lift. The electrical submersible pumps sub-segment accounted for the largest market share in 2015 and is expected to grow at the highest CAGR during the forecast period. These pumps are being increasingly adopted due to their sustained performance and high operating volume. The report segments the artificial lift market based on application into onshore and offshore. The onshore segment is expected to grow at the fastest rate during the forecast period, owing to rising oil & gas production from unconventional resources. In offshore applications, the artificial lift methods are used for subsea production and deepwater gas lift wells in order to enhance the productivity of well. This segment is expected to create new revenue pockets for the artificial lift market during the forecast period. In this report, the artificial lift market has been analyzed with respect to five regions, namely, North America, Europe, Asia-Pacific, South & Central America, and the Middle East & Africa. North America is expected to dominate the global artificial lift market during the forecast period, owing to the increasing use of artificial lift systems for shale gas production. The Middle East & Africa market is projected to grow at the highest CAGR from 2016 to 2021 due to the presence of natural gas reserves and mature fields. Nigeria, Angola, Oman, and Kuwait are expected to drive the artificial lift market in the Middle East & Africa region. Lack of skilled labour could be a restraint for the artificial lift market. Flow assurance, equipment abrasion, and well integrity are the key challenges for the artificial lift market. So, sound knowledge of parameters such as wellbore geometry, total well depth, and bottom hole pressure is required in order to implement artificial lift techniques. Any failure can delay the production process and can impact the operator’s revenue. 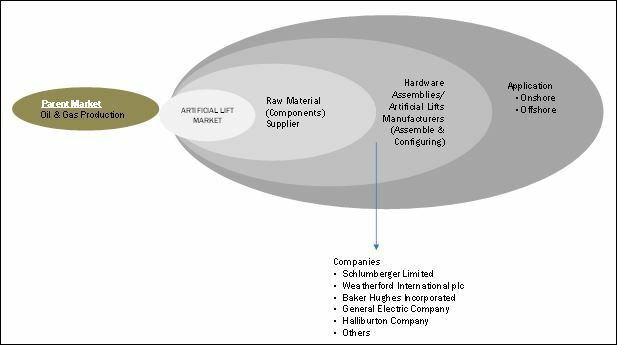 Leading players in the artificial lift market include Schlumberger Limited (U.S.), Weatherford International plc (Switzerland), Baker Hughes Incorporated (U.S.), General Electric Company (U.S.), and Halliburton Company (U.S.). Contracts & agreements was the strategy most commonly adopted by top players in the market from 2012 to 2016. It was followed by new product development, expansions, and mergers & acquisitions. 10.7 National Oilwell Varco, Inc.